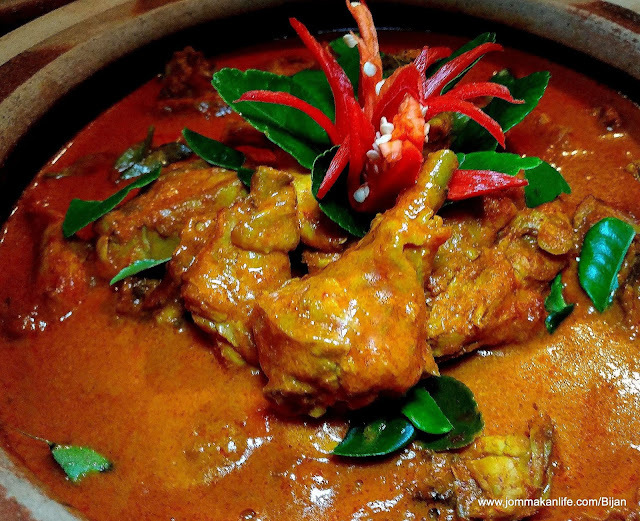 Heartwarming Malay dishes will take centrestage at Bijan restaurant from May 9 – 31 in conjunction with the month of Ramadan. 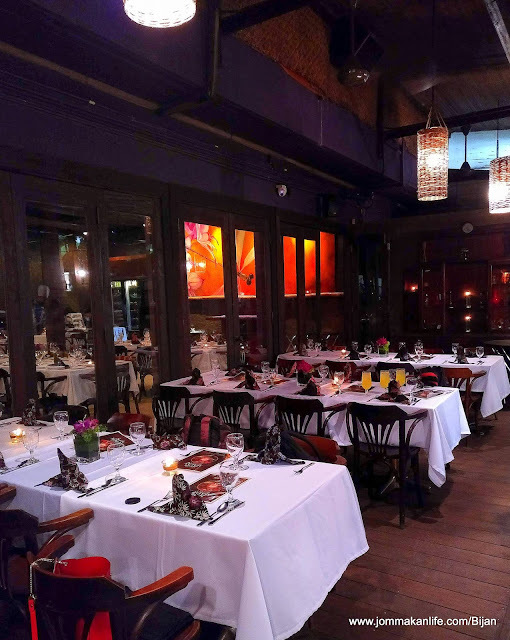 The Simply Malay buffet will enable city folks and diners to rediscover the rich and diverse Malay food heritage, from traditional delights of yesteryear to modern renditions of classic dishes for buka puasa. Well-established for its Malay food in the city, Bijan manages to uphold its solid and dependable reputation from the preview spread laid out for our sampling. While major draws such as Kaki Kambing Bakar (roast leg of lamb), Sup Tulang Rusuk (spiced beef back rib soup) and Pasembur (local mixed salad of shredded cucumber and jicama, fried beancurd, prawn fritters and hardboiled egg with peanut sauce) are part of the extensive line-up, Bijan unveils several trump cards to set itself apart from the competition. 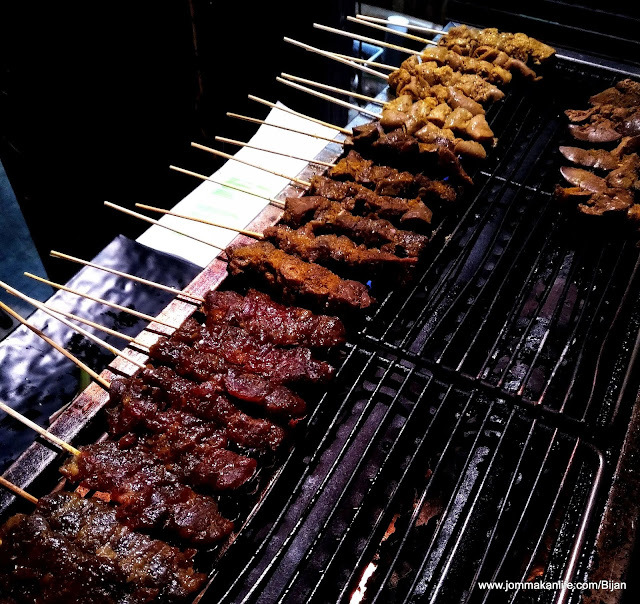 Apart from the usual skewers of chicken and beef, the Satay selection includes Udang (prawn), Sotong (squid), Perut (tripe) and Paru (beef lung). 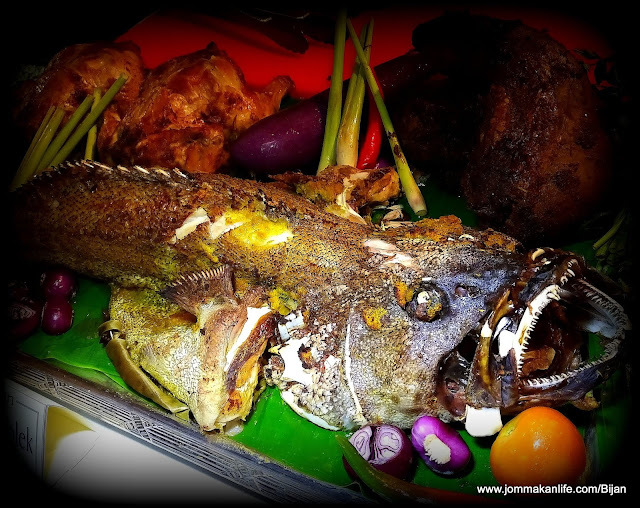 Otak-otak (fish paste wrapped and grilled in coconut leaves) and Pais Ikan (grilled parcels of spiced fish paste in banana leaf) complete the veritable textural feast. Suffice to say, the grilled offerings are thoroughly suffused with aromatic, appetite-whetting smokiness that leaves you wanting more. 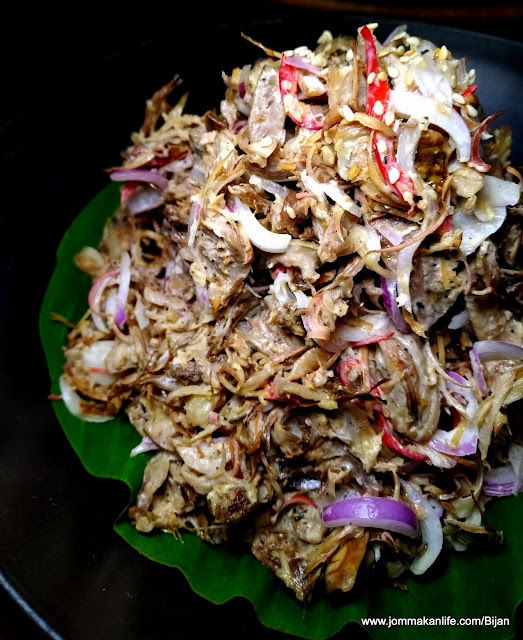 If you are partial to offal, the Lidah Salai (house-smoked beef tongue) is highly recommended too. An acquired choice for sure but rest assured, the tender chunks with toothsome chewiness are quite delectable. 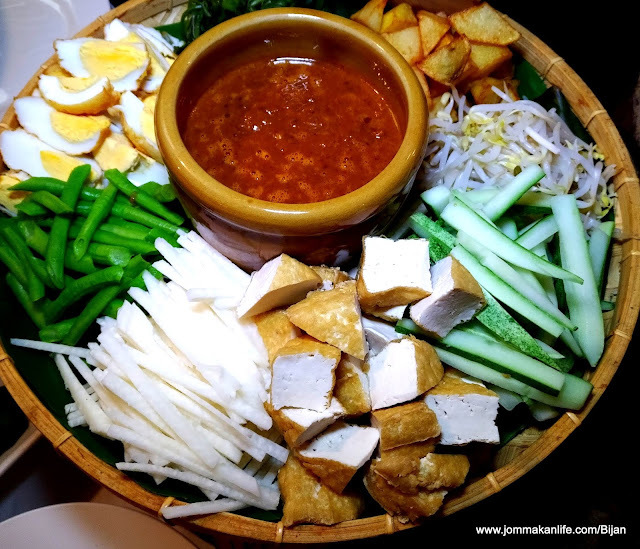 Sample it with a dollop of Bijan’s signature Sambal Hitam, a sweetish, dark pounded chilli dip with subtle acidic tang from the inclusion of tiny belimbing buluh (tiny, yellowish-green sour fruit also known as bilimbi). 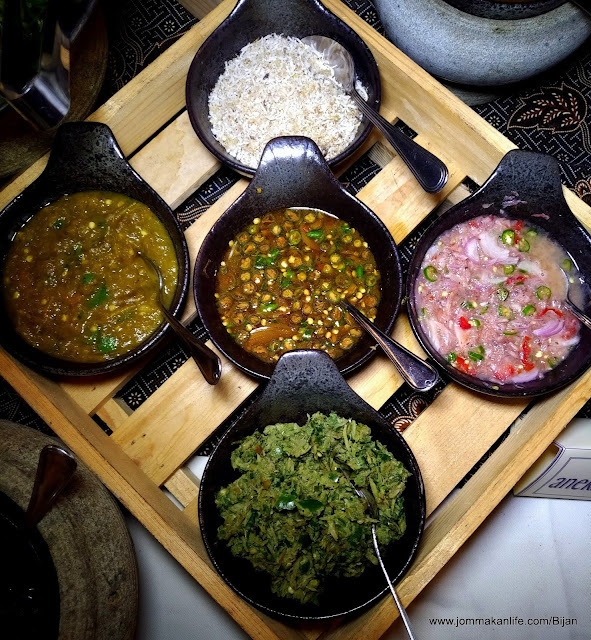 No respectable breaking of fast spread is complete without some kerabu or robustly flavoured local salads. 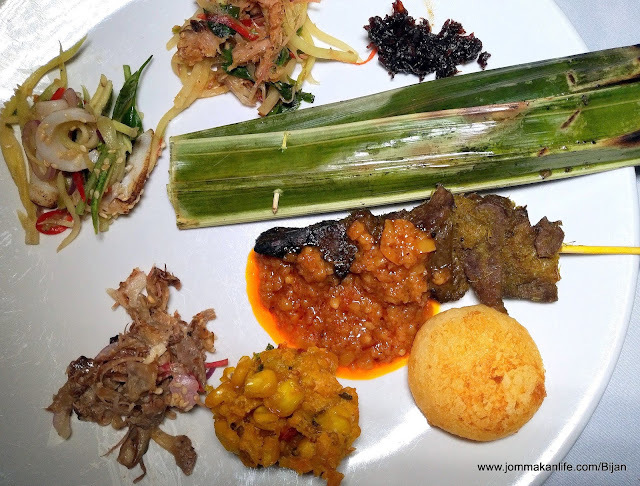 Whipped up with grated coconut, chopped chillies, shallots, coriander and lime juice amongst other ingredients, Kerabu Betik Daging Salai — papaya salad with smoked beef, Kerabu Nangka — young jackfruit salad and Kerabu Sotong Bakar — grilled calamari salad are choice picks to look out for. 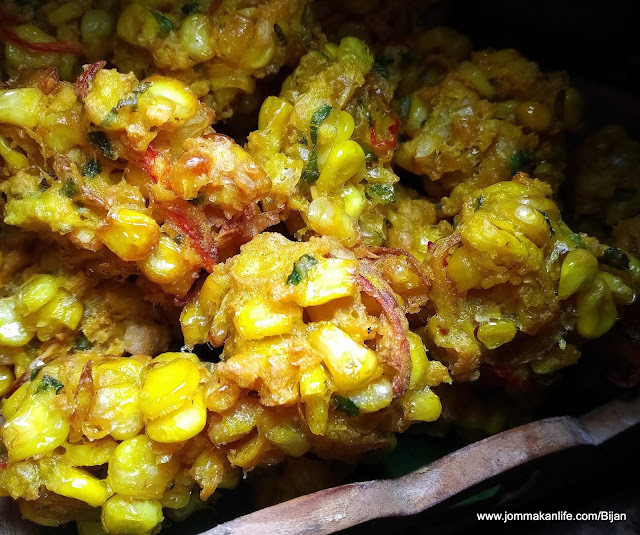 Notable local appetisers such as Cucur Jagung (crispy corn fritters), Getuk Ubi (deep-fried tapioca discs) are ideal for priming the palate before you move on to savour the mains. Plain rice or Nasi Minyak (herbed rice) makes a good foil to capture the full-blown expressive flavours of the myriad of hot dishes served. Second-to-none specialities to load up on include Rendang Daging Hijau (grassfed beef simmered in fragrant green rendang gravy), Ayam Kampung Limau Purut (village-bred chicken cooked in a nice, mildly creamy curry with kaffir lime leaves and a bright vermillion, zingy Kambing Gulai (Australian lamb with potato curry). 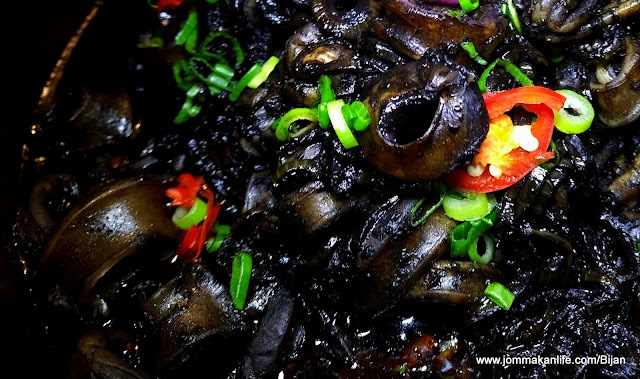 A perennial favourite Bijan is famous for is the sublime Sotong Masak Hitam. 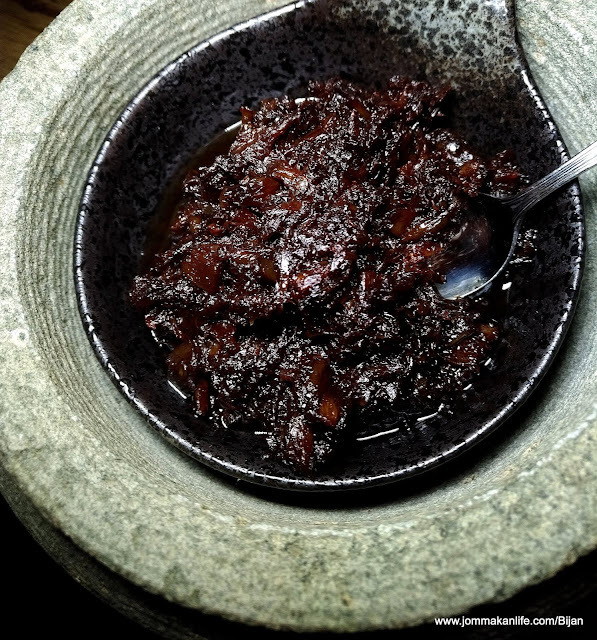 Its dark appearance looks deceptively plain but the tender pieces of squid cooked in black ink sauce are anything but pedestrian. It would be remiss to pass up on this showstopper. 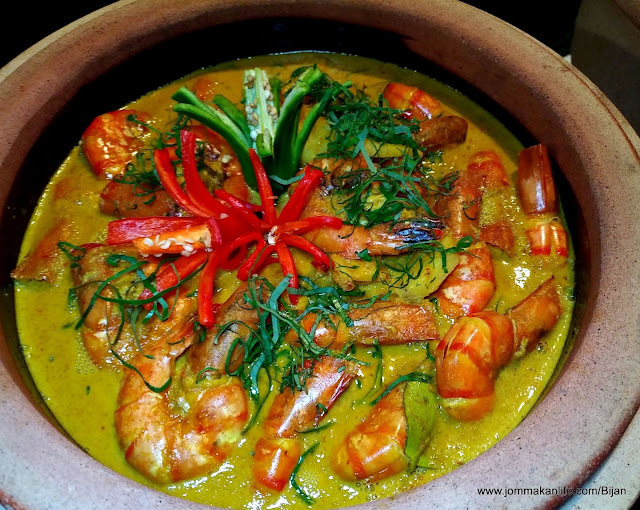 Also worth sampling is Udang Masak Lemak Nenas (pineapple curry with prawns) although the prawns we tried during the preview were slightly powdery. A tiny glitch which can easily be corrected when the real show hits town. 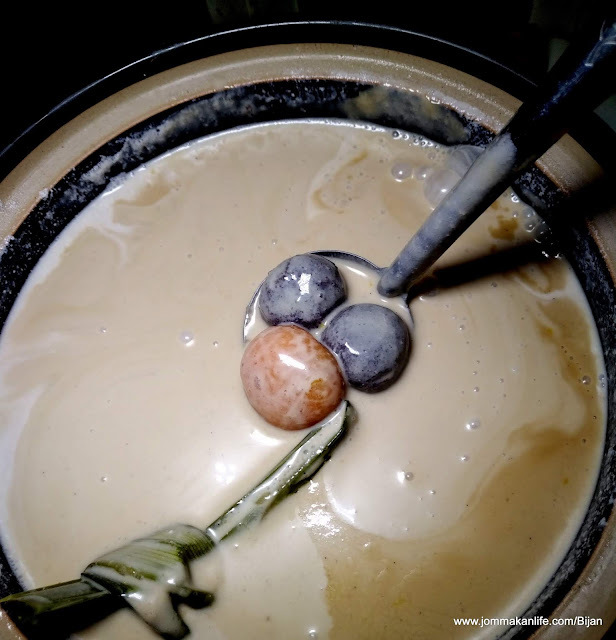 On the sweet spectrum, the plethora of Kuih, Pengat and dessert temptations are varied enough to ensure a decadent high. 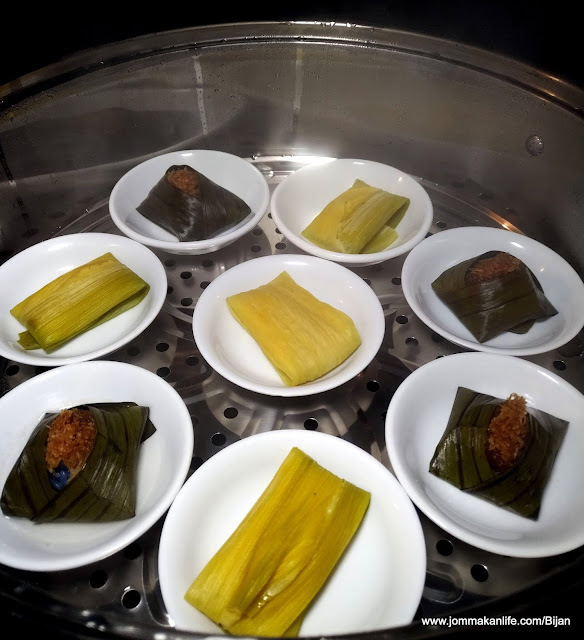 Trad Malay cakes such as Kuih Kosui, Puteri Mandi, Lepat Jagung, Kuih Koci and more jostle for attention alongside Banana Pudding, Ais Kacang and assorted fresh fruits. 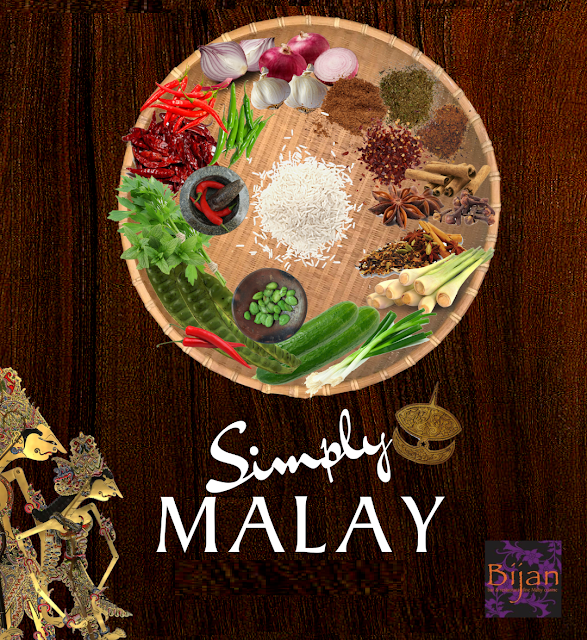 for BUY 5 FREE 1 promo bundle on Bijan's Simply Malay buffet.